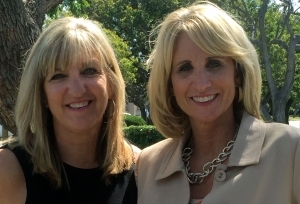 Julie Davis Farrow of Plantscapers was part of an assembly of Orange County women as one of the top 4 finalists in the “2016 Women’s Advocate of the Year” category for her generous ability to mentor and care for those around her. The prestigious Women of Influence Awards Ceremony was held last month and organized by Connected Women of Influence.com. 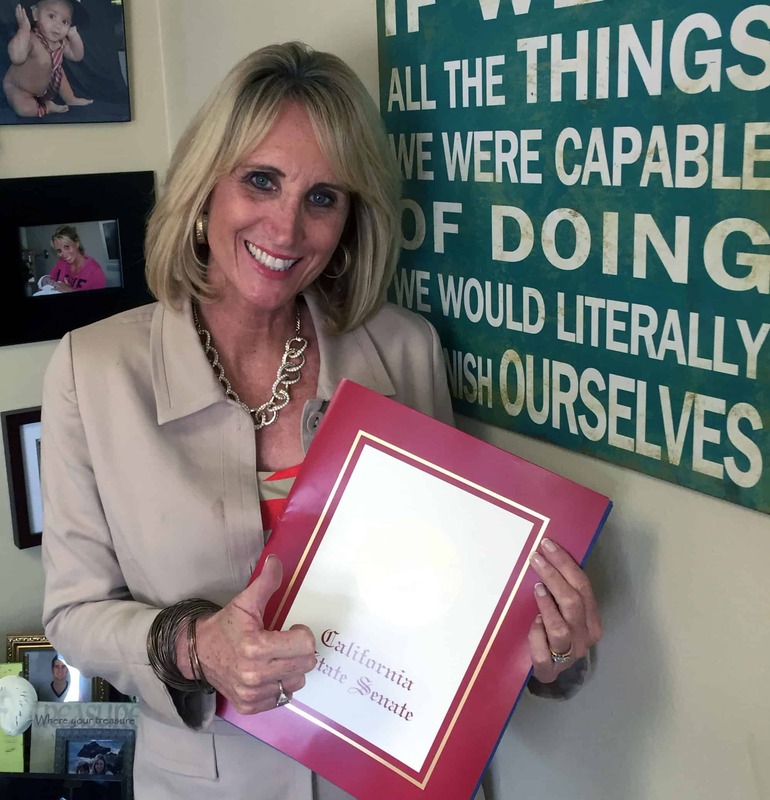 As one of the finalists, it was an exciting moment when Julie was called up to accept her Certificate of Recognition from both the California Senate and State Assembly in honor of Women’s History Month for women who lead in business, industry, and enterprise. Prominent business leaders, elected officials and women leaders from throughout Orange County attended the event, all individuals and organizations that champion the achievements of women in business and industry. 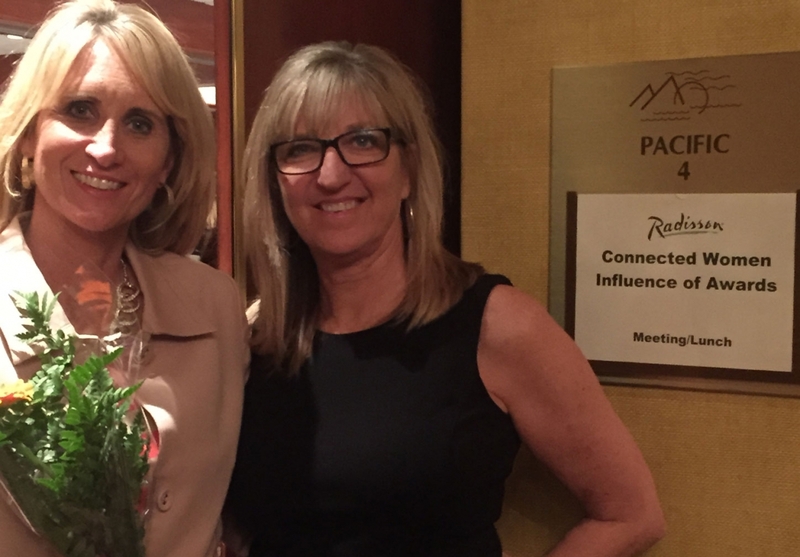 It was an honor for Julie to be part of a remarkable gathering. Her long-time and dear friend Nancy Aeillo accompanied her where they met some amazing women with very inspiring stories. There are many reasons why Julie was nominated and walked up on that stage along with other winners where she received flowers along with a heartfelt round of applause. The endeavors of all these women in business deserve kudos for the perseverance and determination that made them succeed. Julie started her own company 35 years ago when just a kid in high school where she whirled off in a truck delivering plants to customers. It almost seems she didn’t even see the barriers in front of her and just walked right through in full golden confidence there was nothing there that could stop her. Good humored, honest, and most of all not afraid to make a mistake, Julie has worked ceaselessly to nurture a company not just for herself or for her family. But for the others that depend on her for a paycheck, vendors to keep their business growing and customers who benefit from the beautiful designs and wellness that stem from her work. It all rests on her shoulders and she walks around in ease and confidence that suggests otherwise. Her advocacy to help all within her reach as a business owner rides on the creative power women have in creating positive influences in the world around them.